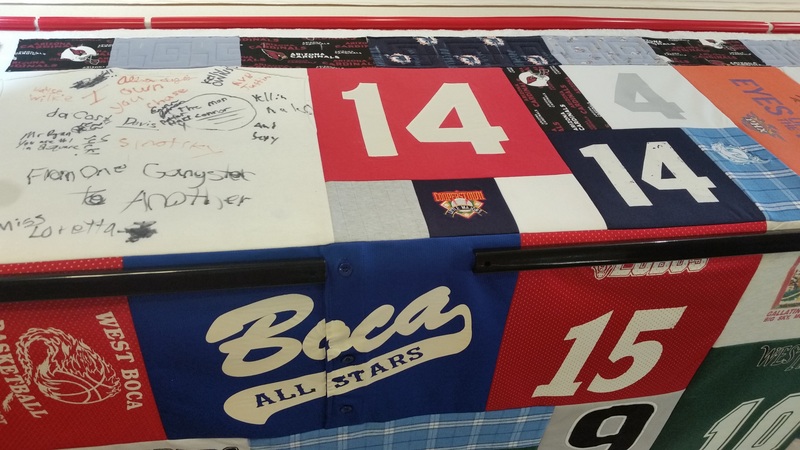 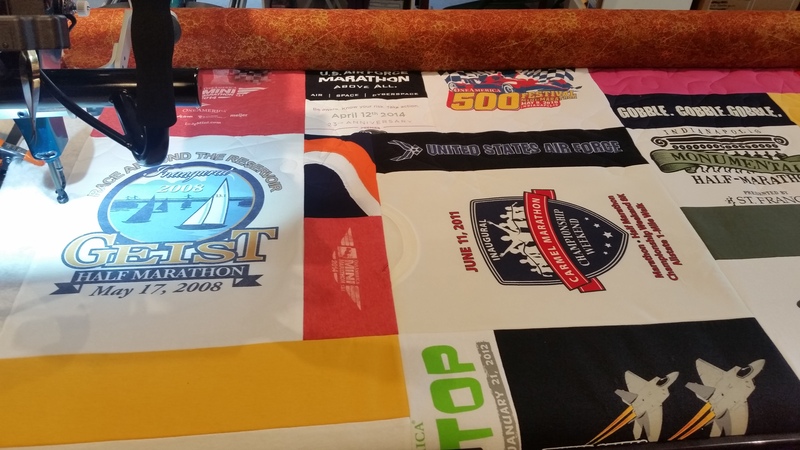 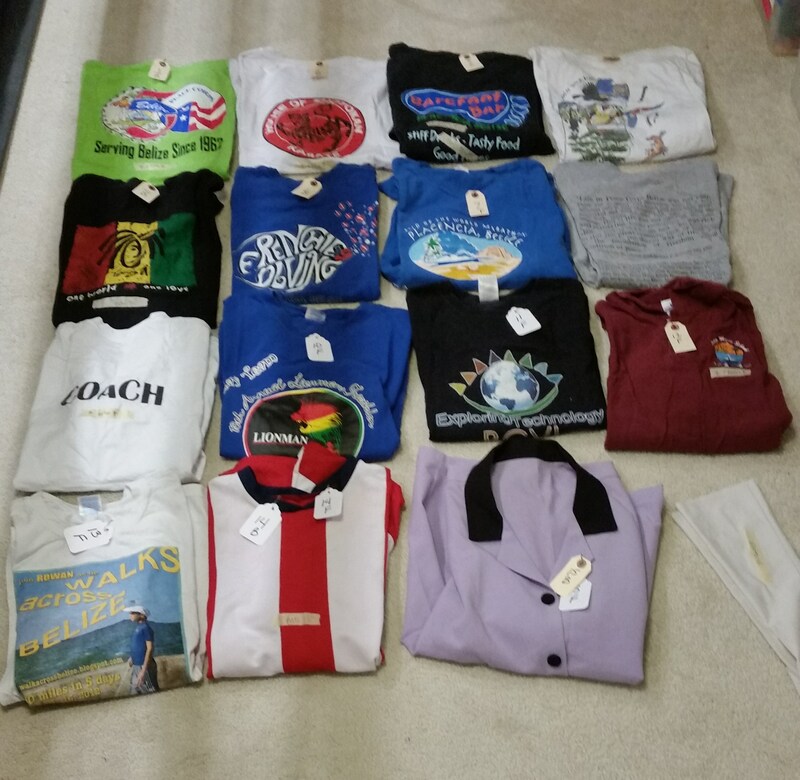 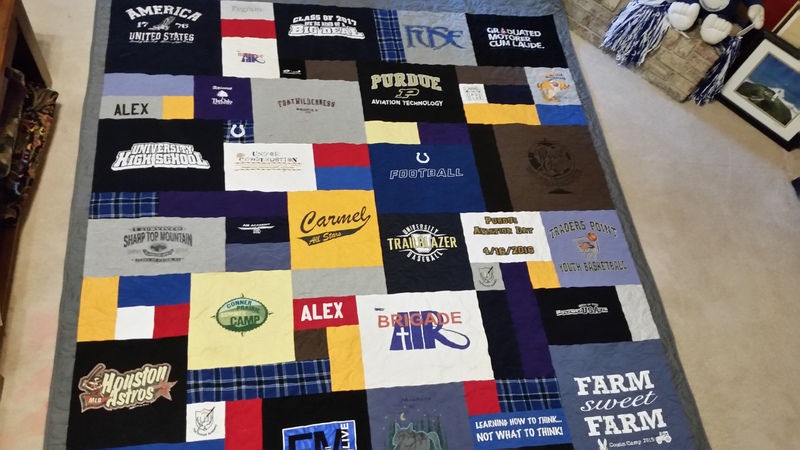 This t-shirt quilt was made for a young man who just graduated high school. 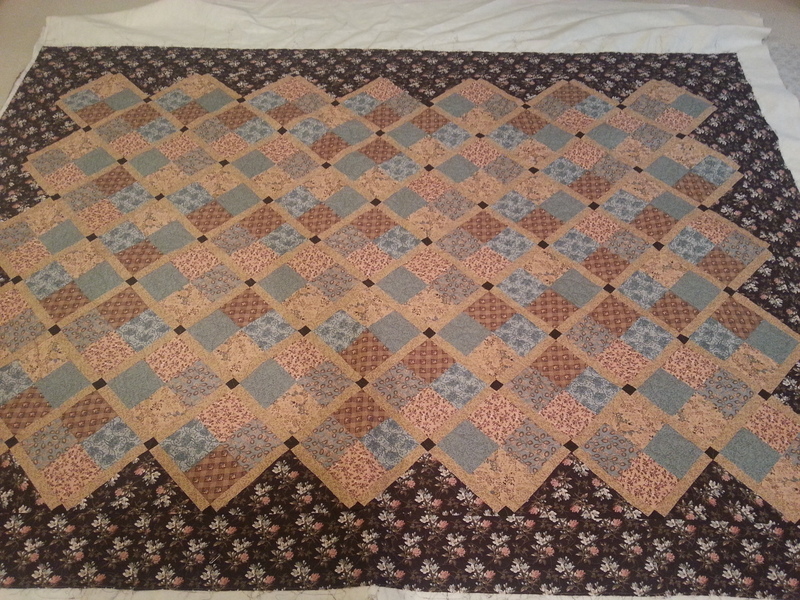 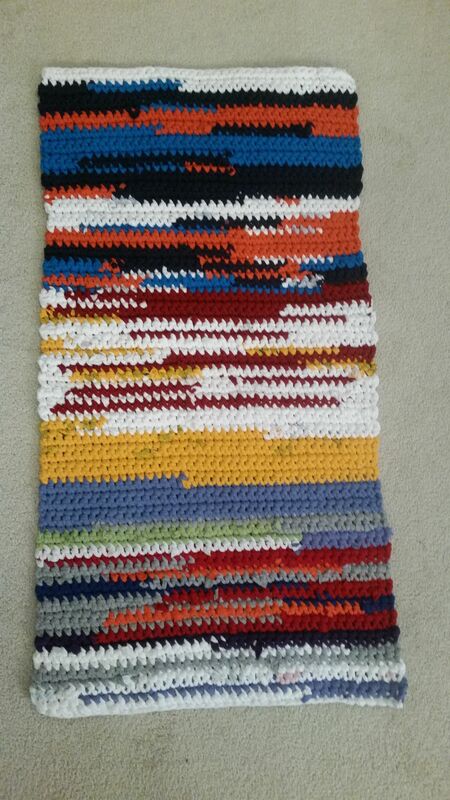 The quilt is quite large so it was difficult to get a full size picture, but here are a couple pictures. 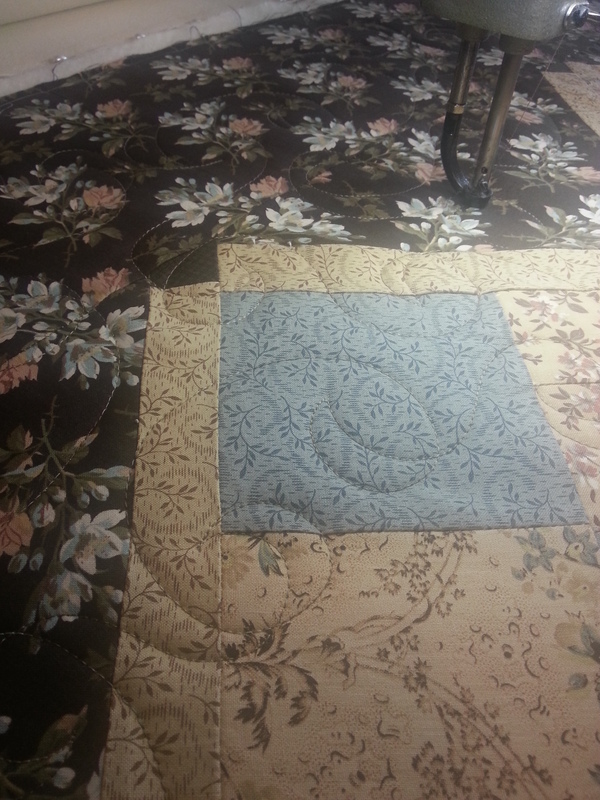 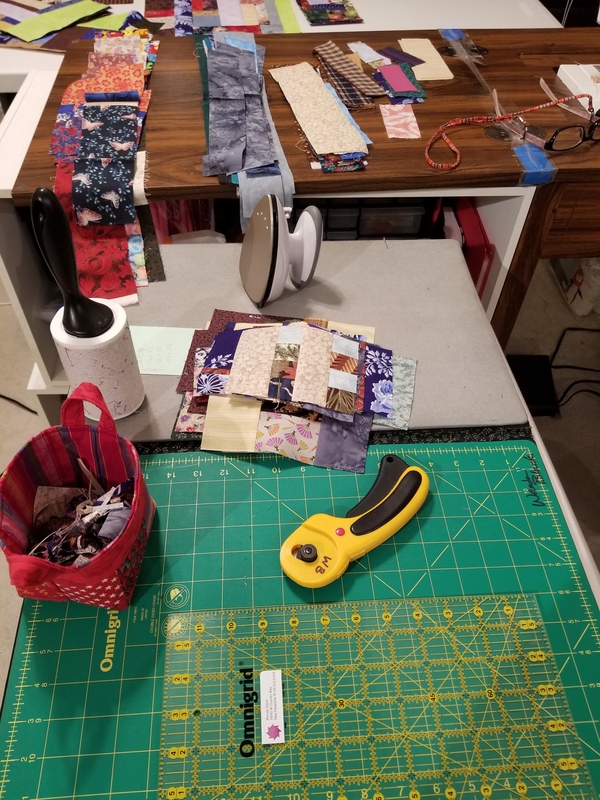 If you’ll notice there are some blue and black plaid fabrics in the quilt. 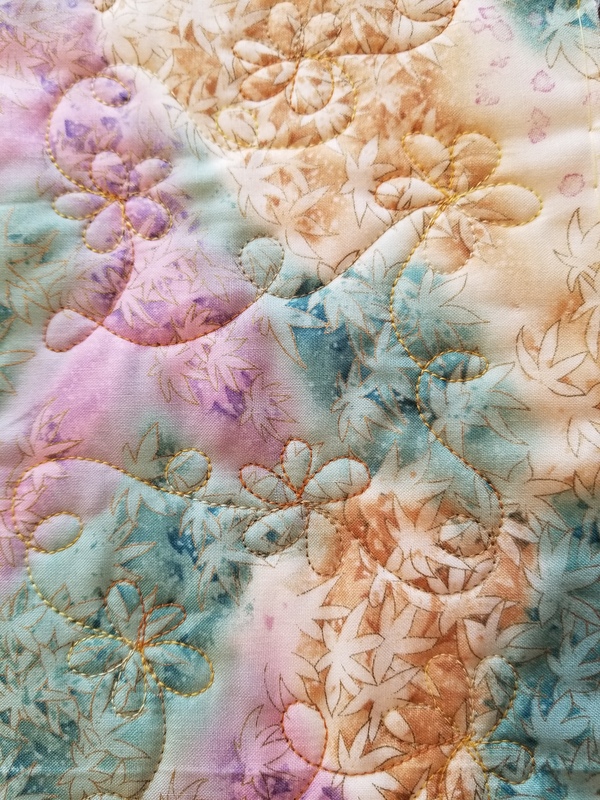 These were from a pair of his flannel house pants. 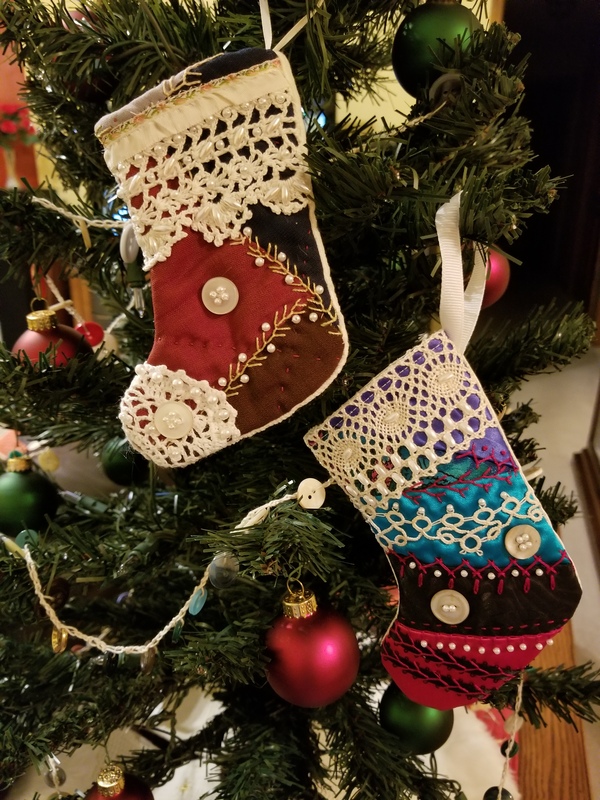 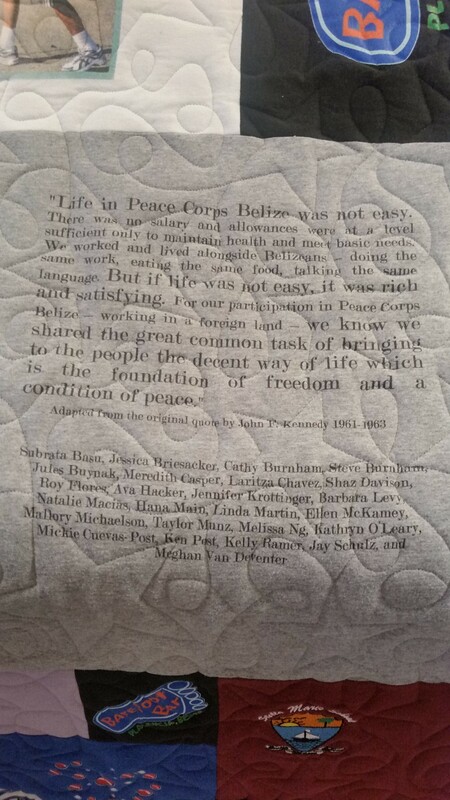 How wonderful those were to include them in the very special quilt. 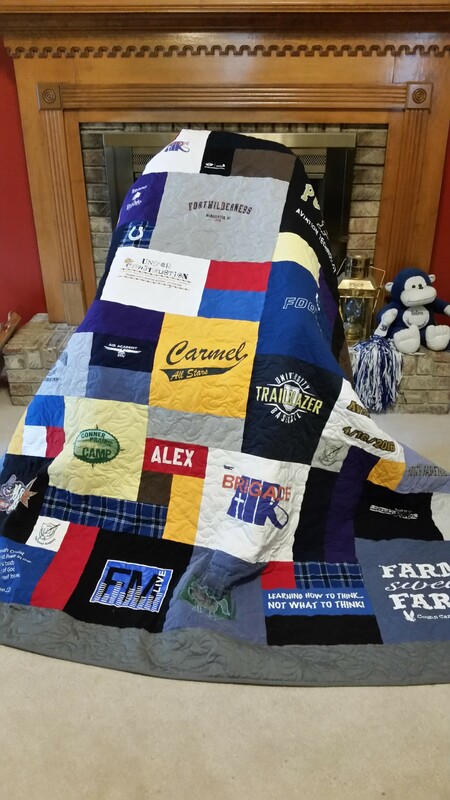 I believe this quilt will be going off to college with him. 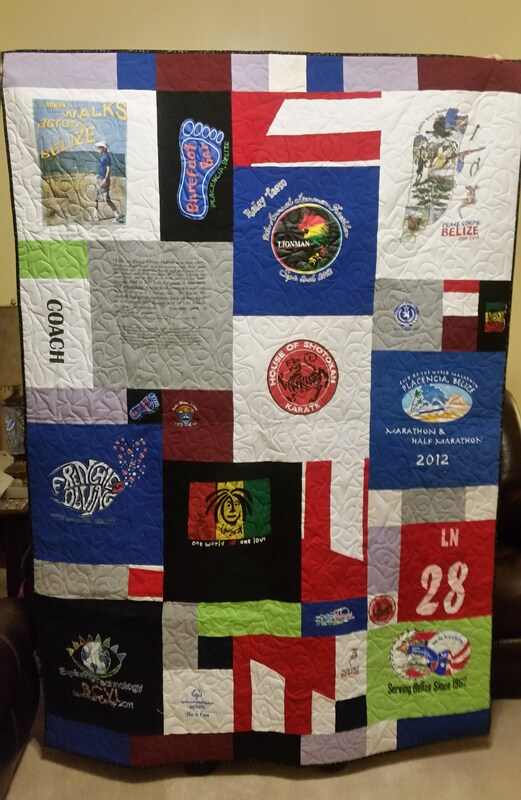 I had a great time making this t-shirt quilt, he has some great t-shirts and I wish him well at college. 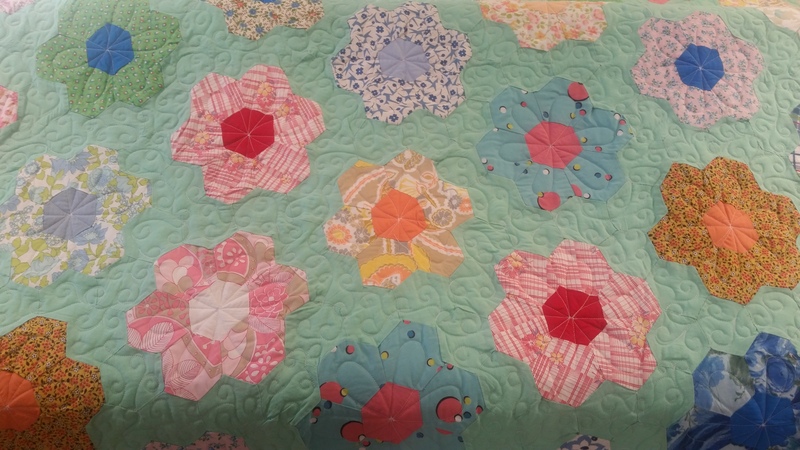 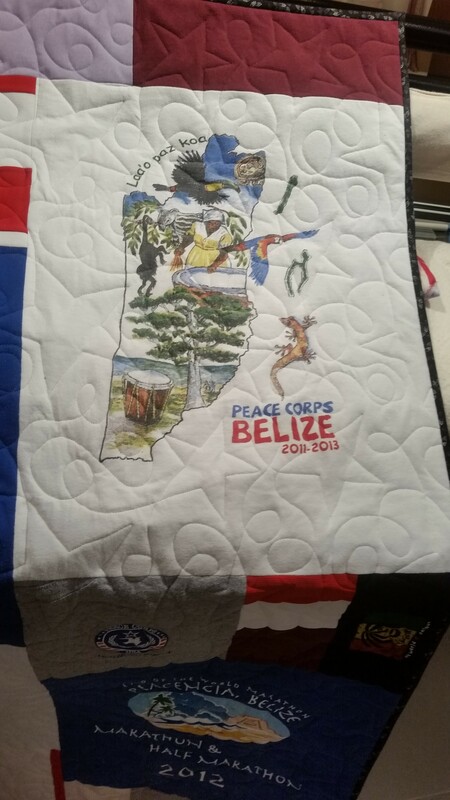 This quilt was made from t-shirts Ellen collected while serving in the Peace Corps.